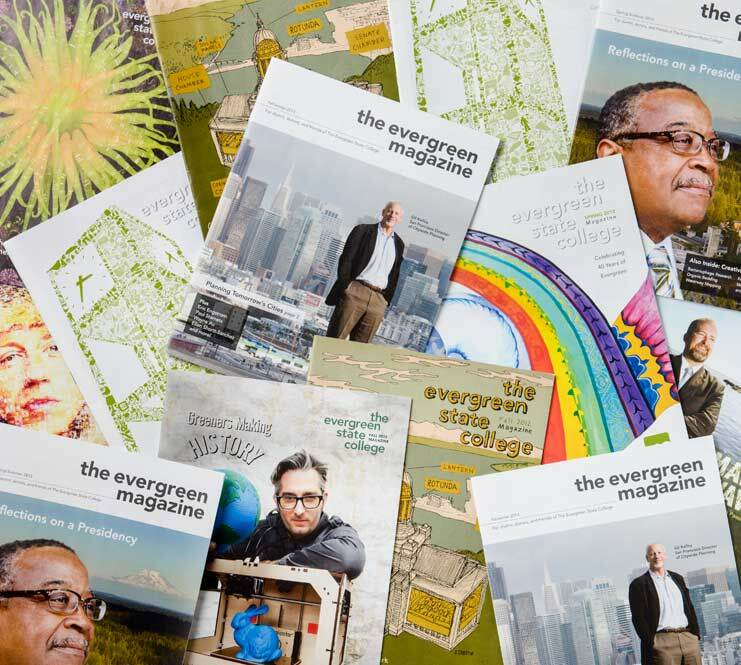 Evergreen’s Center for Community-Based Learning and Action (CCBLA) links Evergreen faculty and students with organizations working on a wide range of community issues. ﻿Wildfire communications manager Janet Pearce ’02 experiences both fire and climate change firsthand. Paul Stamets ’79 turned his teenage curiosity about mushrooms into a singular path that not only led him to become a leading mycologist, entrepreneur, and author, but also put him on a trailblazing journey of discovery. Wayne Au became a teacher to change the world. When tribal leaders from around the region met in June with Washington Governor Jay Inslee and directors of state agencies for the 25th annual Centennial Accord, they gathered at Evergreen’s Longhouse Education and Cultural Center. NOAA veterans Carla Stehr ’75 and Bob Steelquist ’85, MES ’94 promote personal connections with nature through images and education. Greener businesses South Sound Solar and Sound Native Plants are buoying the local economy and improving the environment. On the ground and under the water, archaeologist Sarah Amell ’03 maps hidden human stories along the shores of Puget Sound. Reconnecting people to ancient traditions, Skokomish tribal counselor Delbert Miller ’96 uses music, history, and stories to help heal. Fighting to save whales from ship collisions, John Calambokidis ’78 and the Cascadia Research Collective research and record marine mammal movements along Pacific waterways. John Dodge ’76 has a profound understanding of the South Sound’s geography, human history, and environment, making him one of the most-read and respected writers in the region. Evergreen Tacoma grads Carol Wolfe ’96 and Monica Hunter-Alexander ’13 commit to a vibrant, resurgent city. The Pacific Shellfish Institute and the Evergreen Shellfish Club bring alumni and students together to boost Puget Sound’s most delicious export. Gil Kelley, San Francisco’s recently named director of citywide planning, on Portrero Hill, overlooking the city’s skyline.